Slater & Gordon has entered into an agreement to acquire Quindell plc’s professional services division (PSD) in return for upfront consideration of £637m, with an estimated £40m to follow from a 50% earn-out from existing noise-induced hearing loss (NIHL) cases. If approved by a majority of Quindell’s shareholders next month, the combination of the two will give S&G an estimated 12% of the personal injury market in the UK, which it said was twice that of its nearest competitor, Irwin Mitchell, with Parabis and Minster Law following with 4% of the market each. All are alternative business structures. S&G already has irrevocable commitments from shareholders representing more than 17% of Quindell’s stock, while the offer has the full support of Quindell’s board. The purchase will be funded 70:30 through a share issue and bank debt. Up until this deal, S&G was forecasting its 2014/15 revenue across Australia and the UK to be around £260m. PSD’s unaudited 2014 accounts put its revenue at £645m, using its very different accounting policies to S&G, with gross profit of £328m and EBIDTA of £289m. By adding 2,400 staff, it virtually doubles the headcount across S&G. PSD has two strands: legal services, made up of law firms Silverbeck Rymer, Pinto Potts and The Compensation Lawyers, and costs firm Compass Law; and ‘complementary’ marketing, health and motor services, made up of eight brands including Accident Advice Helpline and Mobile Doctors. PSD will be relaunched with a “reinvigorated brand” with the aim of moving away from NIHL claims to become the leading fast-track personal injury practice in the UK. The S&G brand will be focused on “more complex situations”, both in personal injury and other areas of consumer law. With 53,000 NIHL cases being handled by PSD at the moment, there will be a moratorium on new NIHL cases while the future profitability of that part of the business is reviewed, and the existing NIHL file portfolio “will be expedited to drive claims resolution and maximise cash generation”. S&G had 70 lawyers review 8,000 cases over a period of six weeks, and concluded that an “aggressive approach to reporting performance [had resulted] in over-investment in NIHL”. It explained that the way Quindell accounted for NIHL cases – long a source of controversy – had boosted headline profits even though there was “minimal settlement experience and cash generation”. Quindell told the London Stock Exchange today that, although not finalised, PwC’s review of its accounting policies considered the approach of recognising revenue and deferring case acquisition costs as “at the aggressive end of acceptable practice”. At the same time, S&G said there was “positive momentum” in the non-NIHL parts of the business, with the RTA caseload growing rapidly. For the 2015/16 financial year, with new NIHL cases halted, S&G predicted that PSD would generate £340m of revenue, with £95m EBITDA. S&G also expects to drive down PSD’s current average acquisition cost per case of £810. In a statement to the Australian Stock Exchange – where it will become of the country’s 100 largest companies if the deal completes – S&G described the acquisition as a “transformational opportunity” in line with the firm’s growth strategy that would deliver “significant value” for S&G’s shareholders. “PSD provides a comprehensive platform of businesses, processes and infrastructure that augments Slater and Gordon’s existing UK operation,” it added, saying it would be “difficult and expensive” to replicate the model organically. 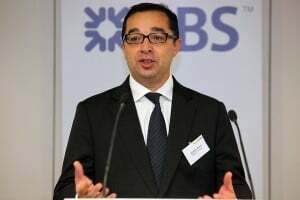 S&G managing director Andrew Grech said the deal would allow the firm “to further penetrate the highly fragmented £2.5bn UK personal injury market. The combination of Slater and Gordon and PSD creates the number one personal injury law group in the UK. It further diversifies our sources of legal work, broadening access to claims management companies, insurers and insurance brokers. The cash offer will “de-risk” Quindell’s shareholders’ investments “after an extended period of uncertainty”, he added.